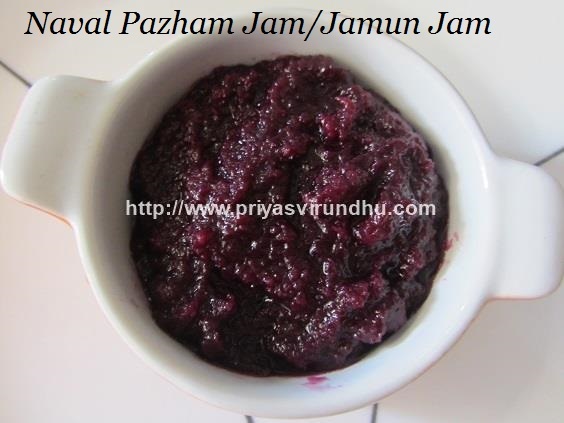 Today, I am going to share a very healthy and tempting Naval Pazham Jam/Jamun Jam. This is one easy way to make kids jamun/naval pazham, just spread the jam on dosas, rotis or bread and serve it. 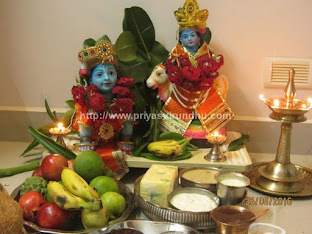 Do try out this healthy and delicious jam and post your comments. 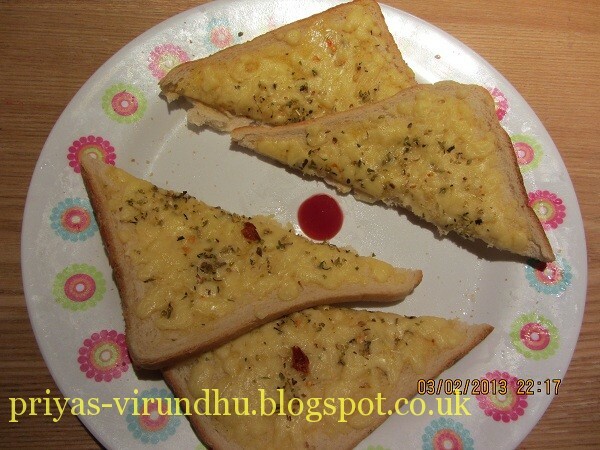 Today I am going to share a very easy and quick potato sandwich that can be made in a jiffy. This sandwich can be served for breakfast or as after school snack or sometimes I pack it for lunch for my kids. 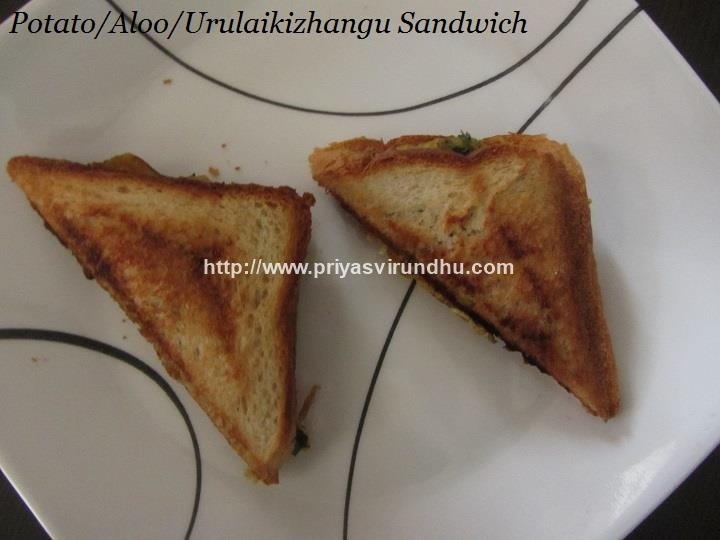 I have used sandwich maker to make this sandwich, you can very toast it in tawa and serve it hot. I have used white bread to make the sandwich you can very well use wheat bread or multigrain bread. 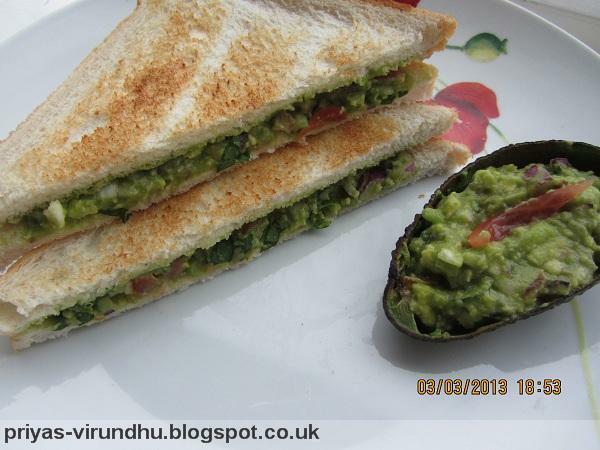 Do try out this delightful potato sandwich and post your comment here. Meanwhile do check out other Sandwich Recipes and Breakfast Recipes here. Bread Omelette is a very easy, quick and filling breakfast that can made in no time with very little ingredients. To make egg omelette you will need bread and egg mixture. The egg mixture can be made in different ways either by adding just the spices or by adding onions, tomatoes, green chillies etc depending upon the time and availability of ingredients in your pantry. 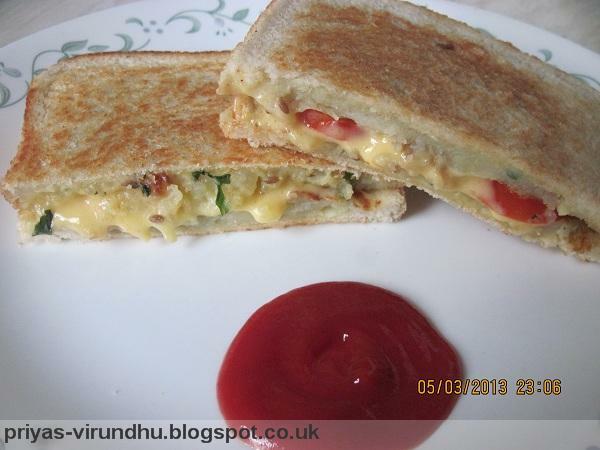 One Sunday morning I was really tired and hesitant to make breakfast, that is when my husband came to the rescue and made this Bread Omelette Sandwich, so I thought I will click some photos and share it with you all. He has shown you how to make Bread Omelette sanwich, like how the street vendors do it, it’s a “made to order” sandwich. 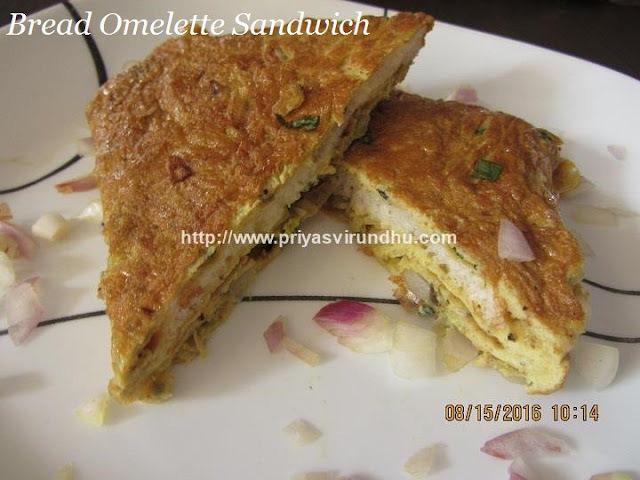 Do try out this bread omelette recipe and post your comments. Meanwhile do check out other egg recipes in the link and enjoy. 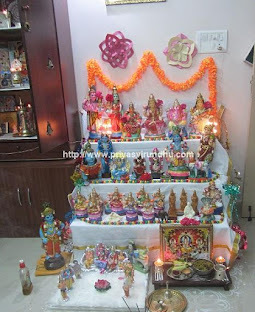 Today I am going to share with you all a very healthy and a different thuvaiyal recipe which not many people are aware of. 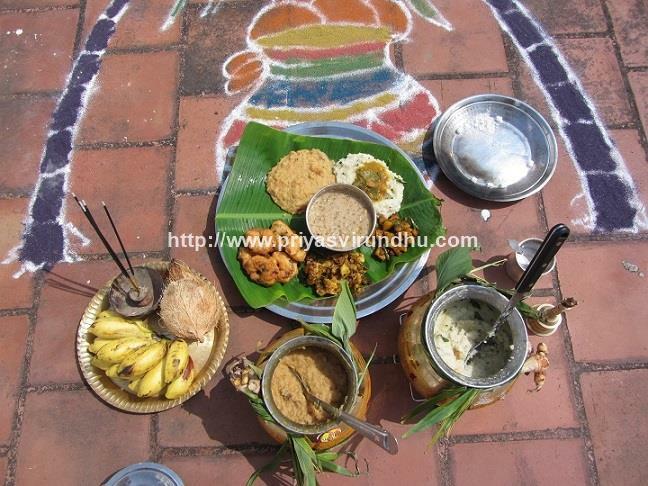 I have already shared the benefits of manathakkali keerai earlier. 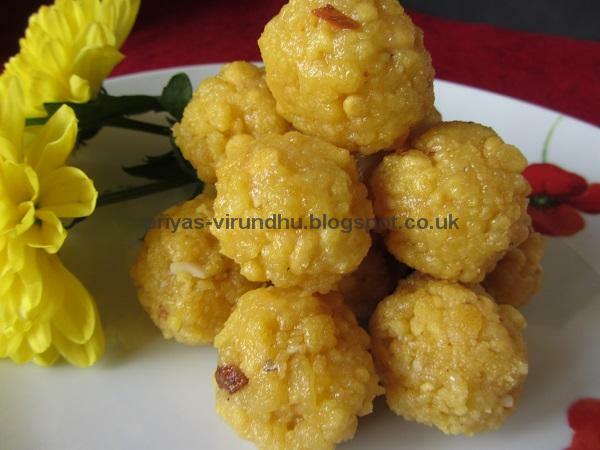 Do check it out in Manathakkali Keerai Thannirecipe which I have posted earlier. 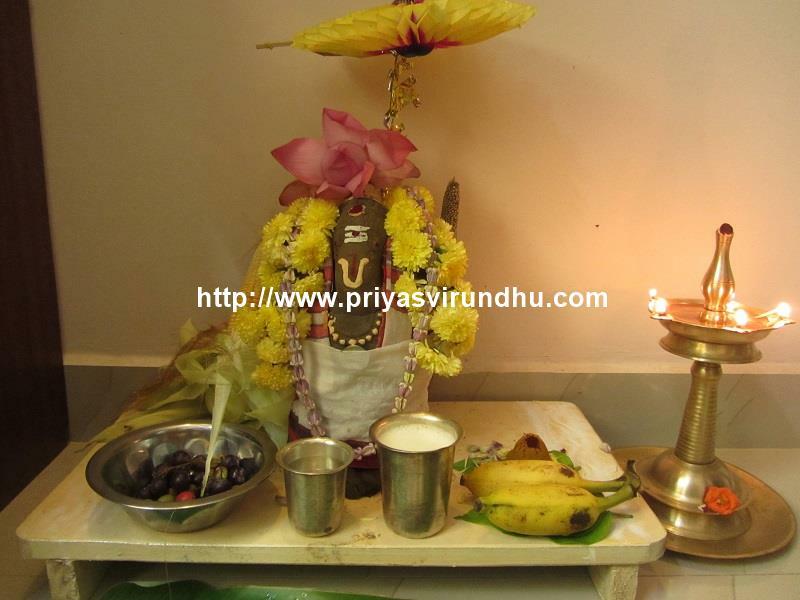 This keerai has numerous health benefits and cures ulcer and acidity problems. For today, I made Thuvaiyal with this keerai, you can add it to plain white rice and have it with pappad or you can also serve it as side dish for idlis, dosas or chapathis. Another lovely way to make your kids eat this thuvaiyal is, spread it on bread slices, arrange more vegetables and serve them healthy and tasty sandwiches. 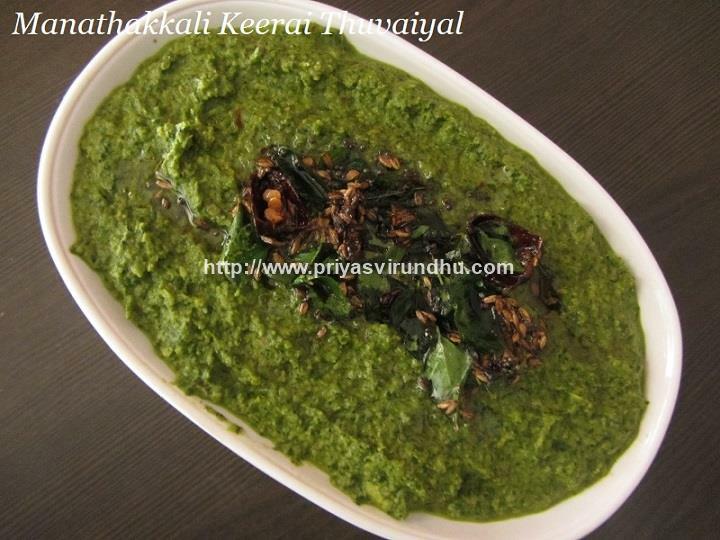 Meanwhile do not forget to check out other keerai/greens recipes here. Yesterday I posted a very healthy and delicious Black Eyed Bean Soup, I had about a cup of cooked beans left. So I made some healthy patties as evening snacks for my kids. 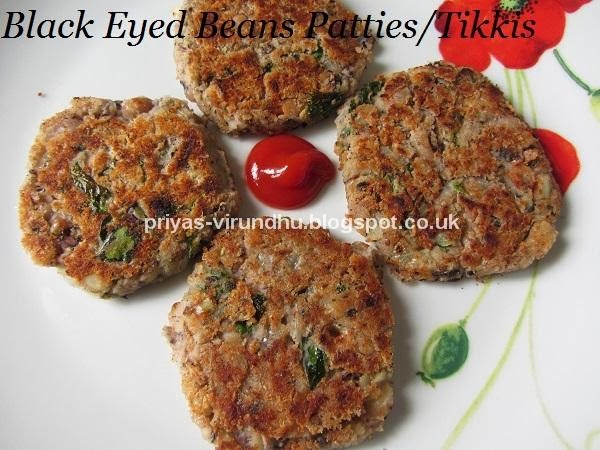 It is so easy, quick and super healthy, you can have them for evening snacks or toast some bread slices, keep the patties in the middle along with a cheese slice and have them as sandwiches. This is one easy treat for kids after school. 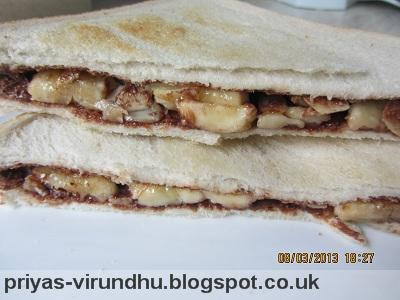 It's the nutella & banana sandwich fried in butter, enriched with almonds. Potato sandwich is a very easy, quick and healthy sandwich that we can make. If you have just potatoes and some spices it is more than enough. Here I have used cheese and tomatoes which is totally optional.